Omega-3 For Health and Longevity! Ask many of us what lies at the root of our health and wellbeing, and of course, our pursuit of it, we would say…longevity. We have family, friends, pets and a deeper purpose that we want to stick around for- so it’s natural that any health plan has this goal at its core. As we age, our health takes on a different focus for us, because essentially we realize that we aren’t as invincible as we thought we were in our younger years- and we are right…we are not! But it’s not all doom and gloom, once we begin to appreciate our body more then we can start to fuel and protect it with greater fervor. Omega 3 has a whole host of mind and body benefits for us so it should really play a vital role in any health regimen you commit to. Even more so because we don’t naturally produce this key nutrient in the form of fatty acids- so we must focus on our diet and supplementation were needed to get the correct amounts into our body. Here’s a closer look at Omega 3 and its benefits to help you incorporate it as part of your health and wellbeing directive! There are three main omega-3 fatty acids. These are alpha-linolenic acid (ALA), eicosapentaenoic acid (EPA), and docosahexaenoic acid (DHA). ALA is found mainly in plant oils such as flaxseed, soybean, and canola oils. DHA and EPA are found in fish and other types of seafood. The best way to get more Omega 3 into your diet is to ensure you eat a variety of different foods. Many foods now may be fortified with Omega 3- such as eggs and yogurt. Check the packaging for information and perhaps buy the fortified brand for some extra Omega 3 support. Of course, there are many supplements that can help boost our Omega 3 intake, for vegetarians, Algal Oil which is sourced from Algae is the best option. 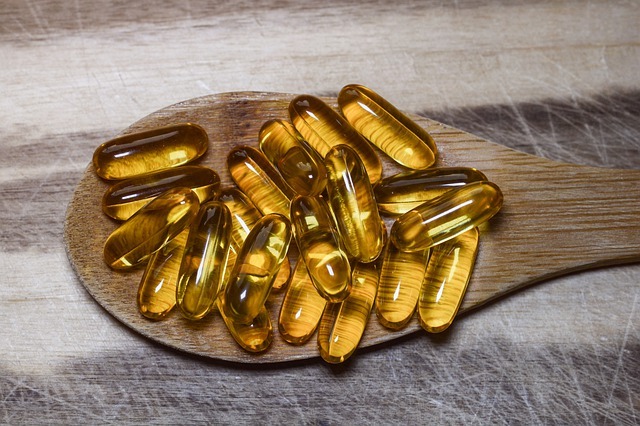 Fish and cod liver oil will provide varying levels of Omega 3- for variety and convenience, many brands now have tasteless or odorless capsules also! Omega 3 is vital for our heart and brain health. 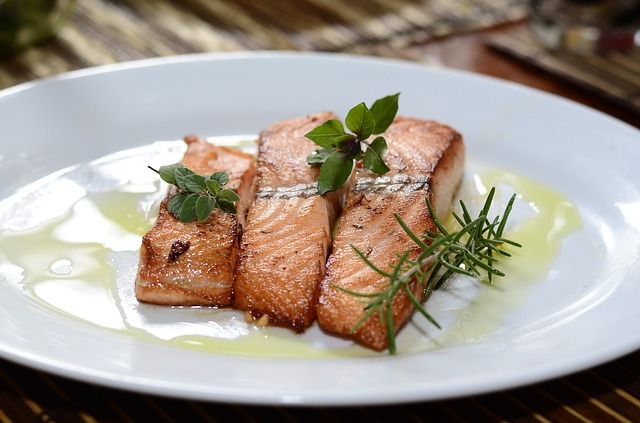 Typically, those who eat oily fish at least twice a week suffer less from chronic disease. If we think of the Mediterranean diet and way of life- we know it is indeed very healthy and this may be due to the fish and healthy oils that comprise a typical Mediterranean meal. We know that Omega 3’s support and protect us; in order to reach a healthier way of life and vitality it really does make sense to ensure you are getting the right amounts into your daily nutrition. It is recommended that ALA (essential fatty acid) on a daily basis should be around 1.1 grams for females and 1.6 for males. U.S. Food and Drug Administration recommends consuming no more than 3 g/day of EPA and DHA combined. There are many food choices available for adequate Omega 3 intake, and we can supplement also! Here we look at Amwok Products and their passion for supporting you with their Omega 3 fish oils! For Great Omega 3 Supplementation, check out Amwok and their story! Amwok Products LLC created the AMWOK® brand in 2016 when I, Daniel, and my long-time friend decided that we wanted to start up a company to supply quality nutritional supplements. We carefully choose our Omega-3 Fish oil to meet specific standards. First, it had to deliver on the dosage. Amwok Products LLC carefully chose a formula that would be delivered on EPA and DHA. AMWOK® Omega-3 Fish Oil with essential fatty acids provides a daily dosage of 2,000 mg of Fish Oil, 800 mg of EPA and 600 mg of DHA with 1,500 mg Total fatty acids. There have been many studies on Omega-3 Fish Oil over the years and they can be confusing and even contradictory at times. It’s a good idea to sift through some articles and educational material and get your information from a source you trust. When choosing to take an Omega-3 Fish Oil nutritional supplement, you have to understand that Omega-3 Fish Oil helps support your body from the inside…! And…it can help to support healthy eyes and vision! The vast benefits of Omega 3 come from long-term use, not intermittent or temporary application into your lifestyle. Consider making a commitment to support your body and all you put it through- then Omega 3 can really work its magic! The reason you take Omega-3 Fish Oil is for the EPA (eicosapentaenoic acid) and DHA (docosahexaenoic acid). “Not only does your body need these fatty acids to function but also they deliver some big health benefits”, (https://www.webmd.com › Healthy Aging › May 18, 2017). EPA has anti-inflammatory effects while DHA is known to support brain health. Your body does not make EPA or DHA so you have to incorporate them into your diet either by eating fish or taking an Omega-3 nutritional supplement. Here are some great reasons to choose Amwok Omega 3! You should choose AMWOK® Omega-3 Fish Oil with essential fatty acids and a natural lemon oil to support your body because AMWOK® Omega-3 Fish Oil delivers on dosage, quality, and safety. AMWOK® Omega-3 Fish Oil is non-GMO, contains No dairy, No-lactose, Gluten Free, Wheat Free, and contains no artificial flavors. AMWOK® Omega-3 Fish Oil nutritional supplement with essential fatty acids is available on Amazon.com 24 hours a day, 7 days a week and can be delivered directly to you. One bottle contains 120 soft-gels and will last one person 60 days so you have the freedom of purchasing once every two months or share it with a friend and split the cost. 1 bottle will last 2 people 30 days for one low price. To find out more about how Amwok Products LLC can support your health and longevity, check out their Facebook page at Amwok Products or their website Amazon.com/amwok !